To assist you in the stock trading, there are handy online tools such as this stock profit calculator. It’s a very useful tool to use whether you’re a stock market newbie or you’re a seasoned trader. Based on the selling price and the price of the purchased stock, you can determine your stock return. Simply speaking, you will be able to find out how much money you can earn from your transactions. The handy online calculator here offers two significant parameters namely the break-even price and the return on investment or ROI. How to use the stock profit calculator? How do you calculate stock profit? What is the return on a stock? How do you calculate the return on stock? How to calculate percentage gain? How to calculate break-even price? First, enter the number of shares at the very top. To determine the buying commission when purchasing shares, enter the buying price and the percentage of the buying commission. To determine the selling commission when selling shares, enter the selling price and the percentage of the selling commission. After entering all the values, the stock profit values will get generated automatically. Then you’ll be able to see your stock profit, return on investment, and break-even selling price values. This stock profit calculator can accept commissions both as a percentage value of the price and as a fixed monetary value. After entering these values, the other value will automatically get calculated. As soon as a company joins the stock market, it needs to undergo a valuation during an IPO or an initial public offering. After the IPO, you can determine the company’s total value. To determine the price of each share, divide the total value by the number of stocks issued. Keep in mind though that as soon as a company is already on the stock market, the prices of its stocks will fluctuate. These prices will depend on the supply and demand. For instance, when the demand for the company skyrockets, the stock prices will drastically increase as well. Most of the time, the shareholders would have to wait for a long time before they see a return on a stock which would correspond to the return on capital of the company. 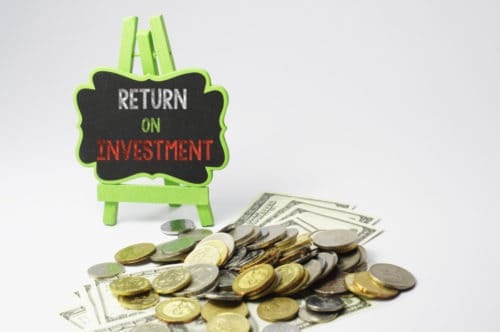 The return on capital is an evaluation of the profitability of the company. The return on a stock is a combination of the stock price increases (or the capital gains) and the dividends. Unfortunately, the market often forgets the importance between return on stock and return on capital. Companies can earn high returns on their capital, but their shareholders might not see their returns if the prices of the stocks on the market goes down at the same time. Likewise, even if a company suffers because of low returns on its capital, its stock prices might increase on the market which is good news for the shareholders. Simply put, the company and the stocks may perform differently at certain time periods. The reason for this is that the market price of stocks depends on how the market perceives the future profits that the company can generate. There are times when the market’s perception is right on the money, and same time, there are times that it’s way off. But as time goes by, the market would eventually get things right. Then the performance of a company’s stocks will reflect the underlying company’s performance. If you get a value of 100%, this means that if you spend a specific amount on stocks, you will have a revenue of twice the value of that sum. Start with the amount you’ve gained on your investment then divide it by the amount you’ve invested. Then get your investment’s selling price and subtract this value for the price that you paid for it initially to get your gain. Divide your gain by your investment’s original amount. To get the final value, multiply the value you get by 100 to acquire your investment’s percentage change. The fixed costs refer to all the expenses that you need to pay no matter what your sales volume is. Some examples of fixed costs are insurance, rent, office salaries, rent, and more. The variable costs are the expenses you need to manufacture your products. These costs include supplies, direct labor, material costs, and others.